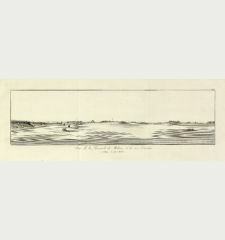 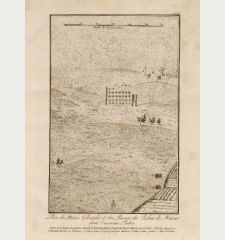 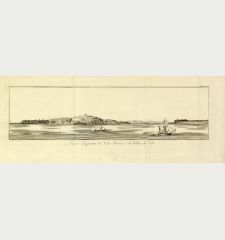 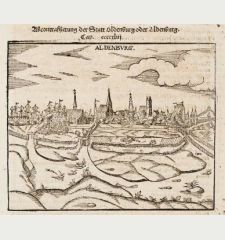 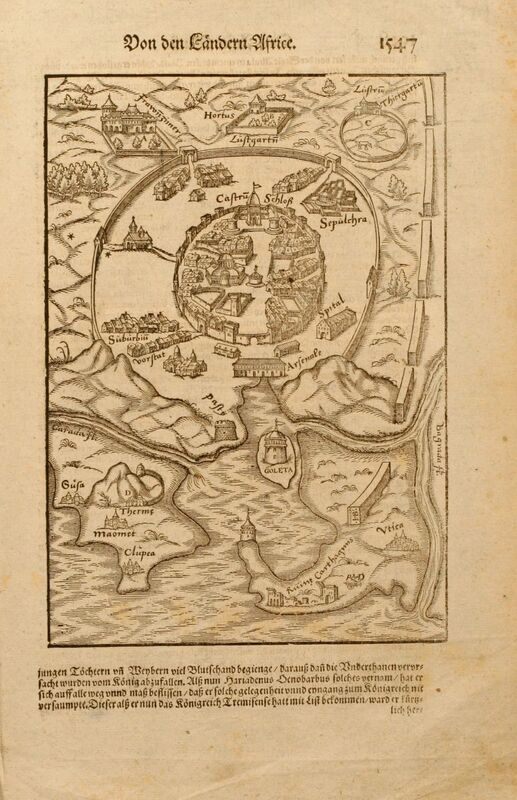 Antique woodcut town view of Tunis. 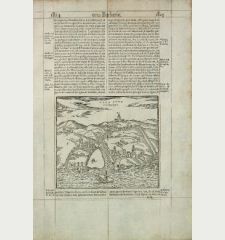 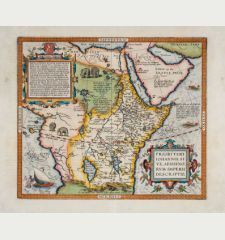 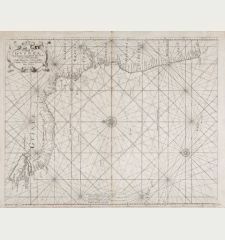 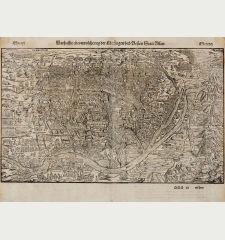 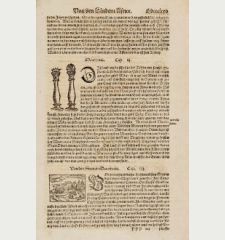 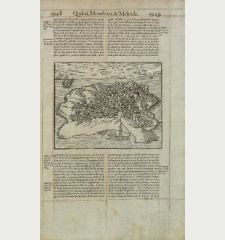 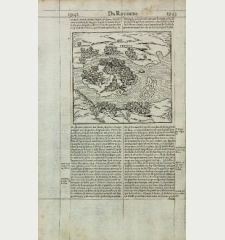 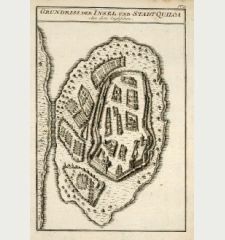 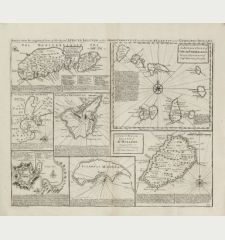 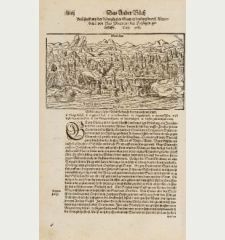 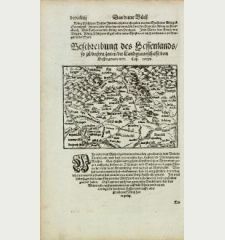 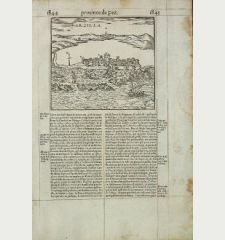 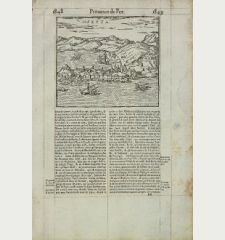 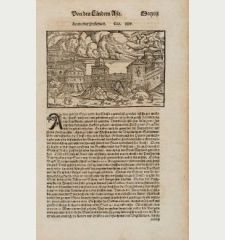 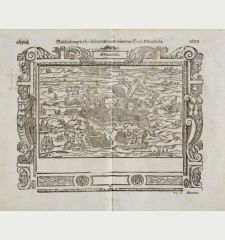 Printed in Basle by Petri circa 1580. 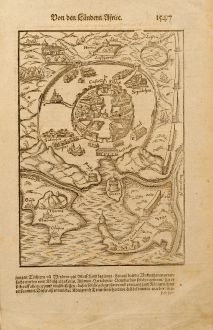 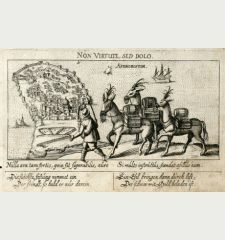 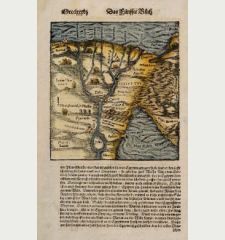 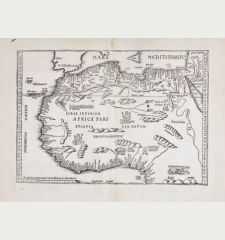 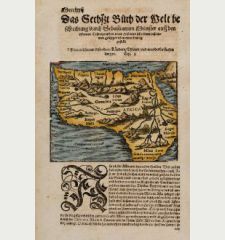 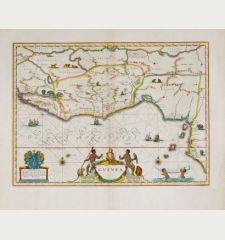 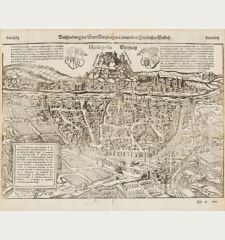 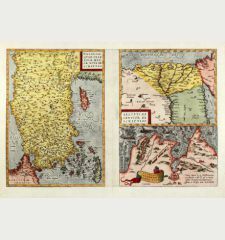 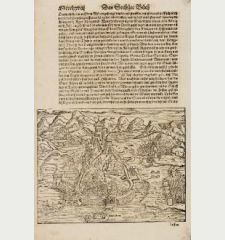 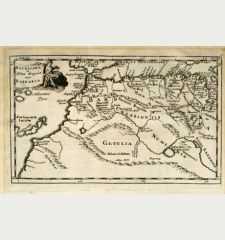 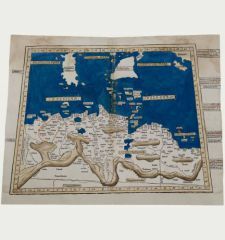 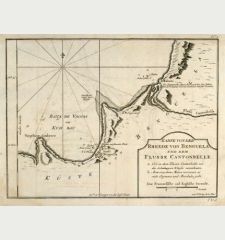 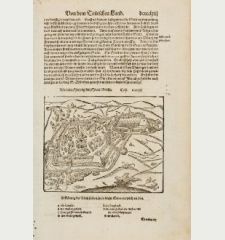 Woodcut cityview of Tunis / Tunisia / North Africa including zoological and botanical garden, castle Goleta, a Harem and a Thermae. 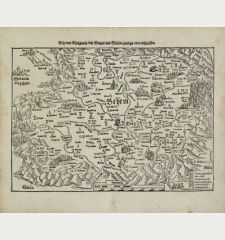 From a German edition of Cosmographia by Sebastian Munster printed from Petri in Basel.